The rise of e-commerce presents tremendous business opportunities to reach out to markets, way beyond merchants’ domestic footprint. As online retail and e-travel is booming, new business types have emerged that profit from cross-border e-commerce. E-shoppers pay with credit cards or through alternative payment methods. Due to their relative anonymity, Card-Not-Present (CNP) Payments are more vulnerable to fraud. Card organizations keep track of recent developments and regulators are forced to adapt ongoing Due Diligence procedures, in order to mitigate increased risk. Business types are assessed, categorized and coded and their subsequent risk level is extremely relevant for the merchant acquiring business. Risk professionals and underwriters work under high pressure. 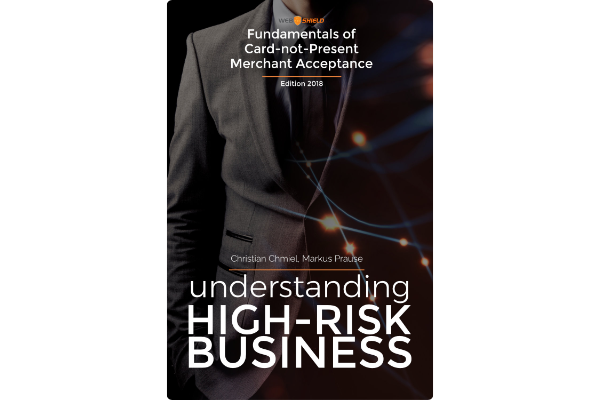 ‍The 2018 Edition of the “Fundamentals of Card-Not-Present Merchant Acquiring” provides underwriters and risk professionals with guidelines and investigation techniques when on boarding merchants, engaged in “high-risk” or “hidden high-risk” business. This guide explores a variety of risk indicators that need to be identified and researched, before accepting both high-risk business types as identified by Visa and MasterCard and higher risk business types as identified by ‘brand protection compliance programs’ (BRAM or GBPP). New business types, subsequent card scheme regulations, associated risk factors and on-boarding & monitoring recommendations are explained into detail. This book covers additional monitoring procedures, including verification methods to analyze and detect associated risk. “Understanding High-Risk Business” offers underwriters and risk professionals in the merchant acquiring business a deeper understanding of deceptive marketing techniques, manipulative web traffic generation and effective due diligence measures when screening, investigating and monitoring specific business models.